Are you a stay-at-home parent looking to start a career or any other professional thinking of taking a second job? If you need flexible work hours and a good income, you could consider becoming a public notary. With a nominal initial investment for training and other requirements, you can expect to earn up to $30,000 a year in addition to your regular income. The exciting thing is that the advent of electronic notarization using apps like DocVerify, Notarize, DigaSign, NotaryCam, and various others as outlined on G2, it is now possible to offer your services through the internet. You’ll work from the comfort of your home interacting with people via a secure web camera and make signatures digitally. You’ll also have access to a wider platform of clients without geographical restraints. 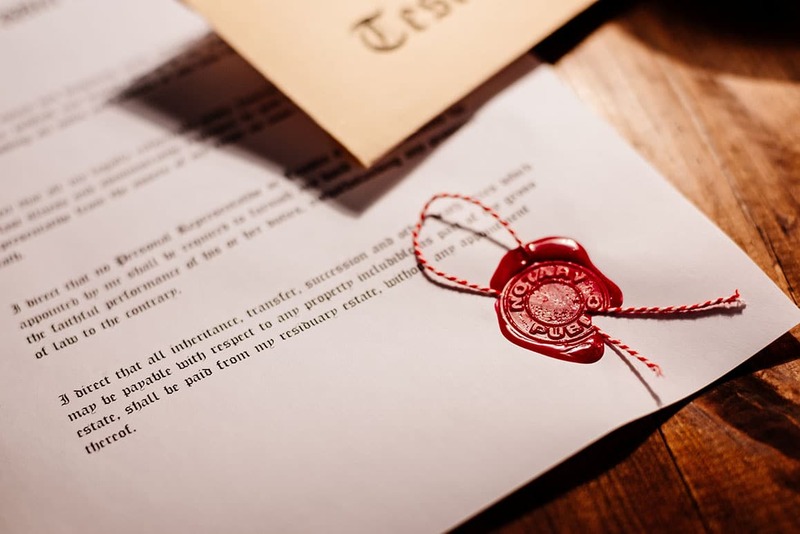 Notarization is the process where government-certified personnel affix their signatures and/or an official seal on any legal documents or contracts. These documents are binding in a court of law having been signed under the supervision of a neutral third party who has verified the identities of the contractors signing the agreement. As the notary, you must also confirm that the signatories are acting out of free will and not under any kind of pressure. Electronic notarization goes one step further with the concerned parties appearing virtually in front of the government-authorized notary. You’ll receive uploaded copies of the agreement, study them for authenticity, and sign the documents using digital seals and signatures. Having e-notarized the documents, you’ll share them with the signatories who can save the contracts online in a secure folder for reference and any other usage. As this feature on Investopedia explains, these legal contracts can be of different types such as a mortgage, power of attorney, last will, irrevocable trust, or partnership deed. You’ll charge a certain fee for verifying the validity of the paperwork and giving your official approval. You must be a resident of the state where you wish to act as a notary. Certain states may allow you to notarize documents even if you reside in a neighboring state. You must be able to read and write in the English language, though some states may not have this requirement like, for instance, the state of California. You must not have a criminal record, especially for conducting fraud. You should not have had your license to practice as a notary revoked in the past. Keep in mind that close to 25% of states and specific industries like, for example, the mortgage industry may require that you go through a background check and fingerprinting. If you meet these criteria, you can submit the application for taking the course to perform electronic notarization. Most states accept the paperwork in person, online, or by mail. Depending on the state where you’re applying to become a notary, you may have to complete specific coursework. Only 12 states have made it mandatory that you take training while others allow you take it voluntarily. Education is always a positive to better understand how the process work and the entire spectrum of your responsibilities as a certified professional. You can sign up for the course online and complete it within a specific time frame as required by your state. For instance, Pennsylvania expects you to complete the training in 6 months. A typical session takes from 3 to 6 hours and may cost you between $100 and $200, though some states may also offer the course and certification free of cost. If you’re training in electronic notarization, you may need additional continuing education. Only 12 states like Nebraska, Maine, Connecticut, and Colorado require you to take the exam to attain your certification to be a notary. States like Ohio and Wyoming do not need you to sit for the exam in any location but a particular organization or judge may require it. Such exams take an hour to complete and test applicants on their knowledge about notarization. Depending on where you live, taking an online exam is also an option. Despite your best intentions and complete precautions, you should be prepared for the remote possibility that you make an error. If that should happen, the injured parties will need compensation. This guarantee or surety is provided by the Surety Bond as required by the District of Columbia and 30 states. Typically, the surety amount can range from $5,000 to $10,000 with a minimum of $500 to a maximum of $25,000. You’ll pay a cost of $30 for coverage for 4 years which is payable to the company providing the surety. In case of any damages arising from an error, the company compensates the affected parties and you must repay the cost. You can also opt to get the Errors and Omissions Insurance designed to protect you from financial ruin in case you make an error. This insurance is not mandatory in any state, but is advisable to protect your interests. Once you complete the exam, you’ll receive the notary commission in around 6 weeks’ time. Next, you’ll stand before the Secretary of State or another notary and swear an oath. Having registered your signature with the county or counties where you intend to practice as a notary, you’ll also collect the official seal and any other supplies including a journal for maintaining a record of the documents you notarize. Each commission is valid for 4 years after which you must apply for renewal. You are now ready to begin your career in electronic notarization.